Have you heard about Pace & Kyeli? Neither had I until one day I stumbled across a link on Twitter that took me to their website, Connection-Revolution.com. I was inspired by one of Kyeli’s posts, well written, written from the heart kind of story. You can read up on the About Page on Pace & Kyeli’s website. How did the idea come to start? When we wrote our first book, The Usual Error (http://usualerror.com),we found that even though we were writing about communication, deep down, we were really writing about personal development. So, for our second book, we wrote about personal development directly. Most people don’t try to inspire others, some just take their knowledge of how to make your life just a little bit better and keep it to themselves, but Pace & Kyeli have brought it to whoever wants it. I don’t know if it works by experience but just read their blog and find out for yourself. 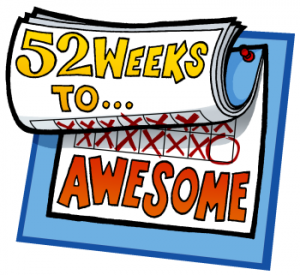 Unfortunately Pace & Kyeli told me that Registration was closed for the 52 weeks of awesome but it will be back sometime next year. Good luck Pace & Kyeli in all your ventures and keep inspiring people the way you do. « Is it normal for a cheating man to do this?